Truly gorgeous Chinese map of Beijing(?) from c.1888(?). 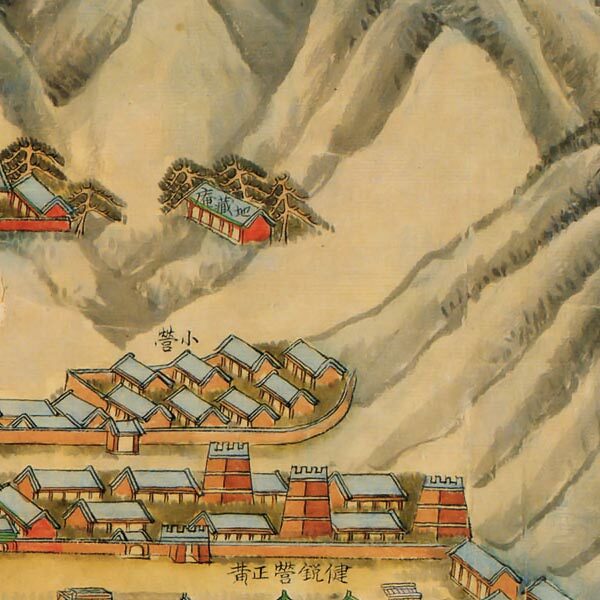 Gorgeous illustration of Beijing [google map] from the 19th century. Don't know much about this one, except that it is noted as being a gift to the Library of Congress by a Mr. Thomas Goodrich in 2006, and that it is described as depicting ”...Eight Banners, Brigade barracks, temples, villages, bridges, mountains, and the Summer Palace.” I would love to know more about this map, if anyone can provide any backstory. Bravo for this blog! Very well done work and I really enjoyed reading them! What an amazing map! I grew up in the area on this map and from what I see this is the map of the Western Royal Gardens (西郊园林), of which the Summer Palace (颐和园) is part of it. Also included were Yuan Ming Yuan(圆明园), Chang Chun Yuan(畅春园), Fragrance Hill/Jing Yi Yuan (香山/静宜园) and the Town of Haidian (海淀镇), now all absorbed into the metro area of Beijing. Together there were about 30+ royal gardens by the west suburb of Beijing by the end of 19th Century, and almost all of them are on display in the map. 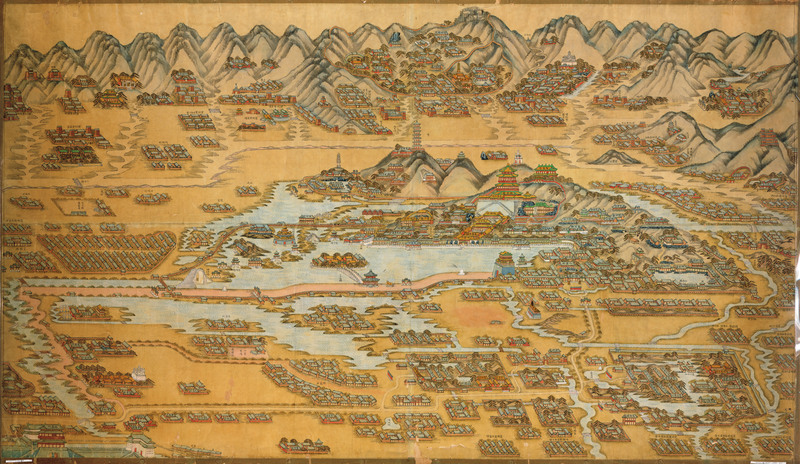 At the very bottom left corner of the map is the Xi Zhi Men (西直门), the most Northwestern gate of the walled city of Beijing. A contemporary map showing exactly the same area can be found here: http://zh.wikipedia.org/wiki/File:Qing_dynasty_imperial_gardens_in_Peking.jpg Rotate this map 90 degree clockwise and the two maps can almost overlap. As Seithenyn said above, this is a map of the Summer Palace (颐和园 – Yihé Yuán), rather than Beijing. The date, however, would have to be after 1893, since it depicts the marble boat (labeled 石舫 on the map) in the form it took after its renovation by Cixi, the Dowager Empress in that year. I would really like to say thanks so much for your work you have made in writing this posting. I am hoping the same most reliable work by you down the road too. Thanks, Erich, It’s my pleasure. I can’t tell you much about the map, only that it is a map of the Summer Palace, a fair few miles out of Beijing and not a map of Beijing proper.